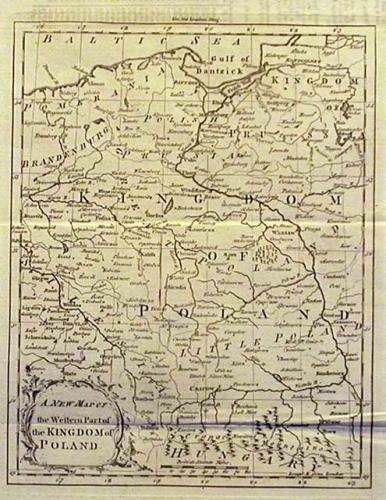 A map of Poland between the rivers Oder and Vistula and between the Baltic in the north and the Carpathian Mountains in the south. Folds as given. A little offsetting in the top margin not affecting image.